Set Menus - Chinese - Asian - Thai - Japanese- Malasia There are 12 products to choose from. Takeaway Lanzarote - Restaurants Playa Blanca Prawn Crackers Soup Spare Ribs Tipico Asia Sauce Thai Chicken Curry with Red Sauce Sweet and Sour Pork Egg Fried Rice. Takeaway Lanzarote - Restaurants Playa Blanca Prawn Crackers and Spring Rolls Spare Ribs Tipico Asia Sauce Crispy Duck with Pancakes Sweet and Sour Chicken Malaysian Beef Samba Egg Fried Rice. 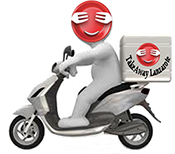 Takeaway Lanzarote - Restaurants Playa Blanca Prawn Crackers Prawn Toast Fried Seaweed Crispy Duck with Pancakes Thai Chicken Curry with Green Sauce Happy Family Egg Fried Rice. Takeaway Lanzarote - Restaurants Playa Blanca Prawns Crackers and Soup Fried Wan Tun Spare Ribs Tipiso Asia Sauce Chicken with Satay Sauce Sweet and Sour Pork Malaysian Beef Samba Egg Fried Rice. Takeaway Lanzarote - Restaurants Playa Blanca Prawns Crackers Soup Fried Seaweed Spare Ribs Tipico Asia Sauce Crispy Duck with Pancakes Chicken with Curry Sauce Sweet and Sour Pork Malaysian Beef Samba Egg Fried Rice. Takeaway Lanzarote - Restaurants Playa Blanca Prawn Crackers Soup Spring Rolls Spare Ribs Tipico Asia Sauce Chicken with Black Bean Sauce Malaysian Beef Samba Fried Vegetables Egg Fried Rice. Takeaway Lanzarote - Restaurants Playa Blanca Prawn Crackers Soup Spare Ribs Tipico Asia Sauce Crispy Duck with Pancakes Happy Family Prawns with Curry Sauce Chicken with Satay Sauce Sweet and Sour Pork Malaysian Beef Samba Egg Fried Rice. Takeaway Lanzarote - Restaurants Playa Blanca Prawn Crackers Soup Fried Seaweed Yuk Sung Crispy Duck with Pancakes Prawns with Leek and Ginger Chicken with Curry Sauce Pork with Bamboo Shoots and Chinese Mushrooms Happy Family Tipico Asia Special Fried Rice Tipico Asia.